The Bitcoin can move up to $10,000 till the end of this month (April). As, the price of Bitcoin was going so down from 8th March that it investors was bearing a great loss of its downfall. But now again, Bitcoin has shown a great trading price in the market from last week onward. From April 1 it has attain 36% of profit as at the starting of the month it had touched a low of %6,526 and now with improved price made a profit of $2,336. If the rise in price continues till end of the month the bitcoin is expected to raise up to $10,000 which it lastly, touched on 8th March. The same growth has seen by all major crypto currencies as well. 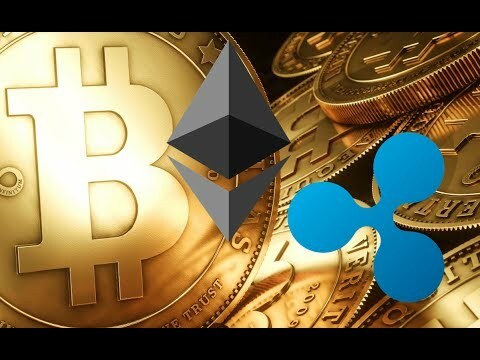 The Ethereum and Ripple has gained nearly same as bitcoin about 56% by Ethereum and 68% by Ripple in last three weeks. Many other two-bit crypto currencies like alt coins have also shown good performance in last week but there are still some crypto currencies that do not have any growth like Tether and Verge. From last three weeks still market has shown wonderful growth and added $120 billion which is the one-third part recovery of loss in the 1stQ 2018. In first Quarter the market gone down to $270 billion from $612 billion in starting of mid January but now Bitcoin has covered half of its value. The world’s first currency had opened its Q1 at $14,112 and closed it at $6,973 the quarter reached up to $16,537 on 8th January and had lost $119.9 in market cap in first three months. As, it closed at $20,089 last year closed at 65%.